On Wednesday (21:00, local time), we will watch the first leg of the Copa del Rey semi-finals between FC Barcelona and Real Madrid. 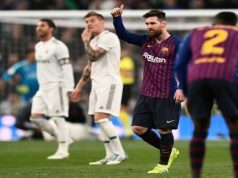 El Clásico is back with the two teams in great form and Los Blancos are seeking revenge after the dramatic loss (5-1) in La Liga, whose consequence was Lopetegui’s dismissal. The two managers are hiding their cards in the preview. These are some questions to be answered. Santiago Hernán Solari didn’t want to give any clues about his line-up for the Camp Nou clash. 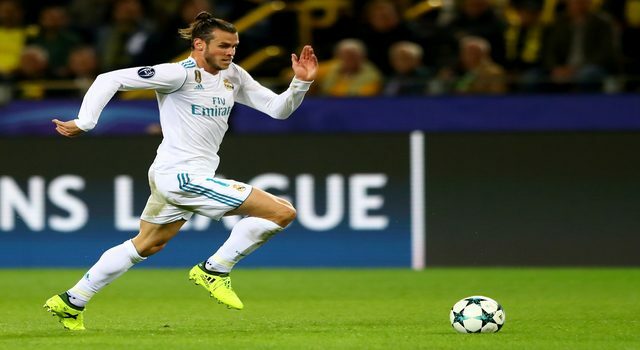 The big question in the attacking line will be whether to include Vinicius Jr or Gareth Bale. The logic answer would be the Brazilian, as he has started the latest 9 games and the Welshman has just recovered from an injury. Besides, we could see Gareth Bale out of shape in the last La Liga game against Alavés. Karim Benzema and Lucas Vázquez, who didn’t play on Sunday, have a spot scure in the line-up. 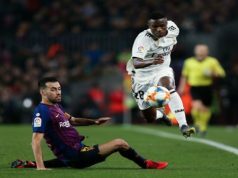 The Brazilian left back has played the last meetings in Copa del Rey, whereas the youngster has been included in the latest line-ups in La Liga. Therefore, we think that Marcelo should be the chosen one for the left-back. Besides, the Brazilian has recovered his level and he played well against Girona last week. Varane, Ramos and Carvajal should be the ones playing also in the defensive line. Leo Messi suffered a big contusion in the last La Liga game against Valencia. The Argentinian scored both goals for FC Barcelona and was the star of the game but he missed the last minutes of the clash due to this action with Lato. ‘La Pulga’ might miss the first leg, as he did in El Clásico in La Liga, due to this injury, especially thinking about the difficult calendar ahead. 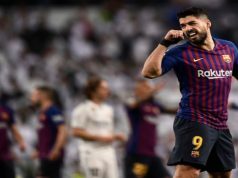 Will Valverde risk with his star? How will Real Madrid Perform? This is the biggest question mark. Los Blancos made a terrible performance in La Liga with Lopetegui still on the bench. The last month of competition has been great so far, achieving good results and playing much better. However, they have several big tests ahead with El Clásico, the Derby against Atlético and the Champions League against Ajax. Will Real Madrid be able to face successfully all these challenges?